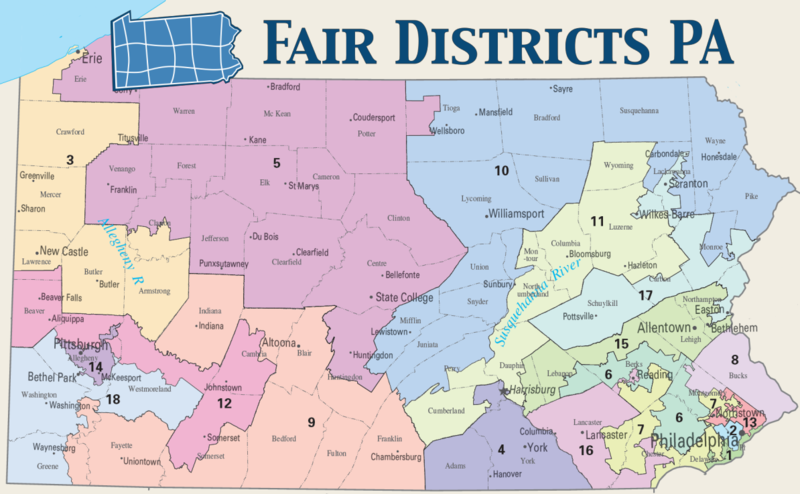 This map from Fair Districts PA shows Pennsylvania's current U.S. Congressional Districts. Pennsylvania's 5th U.S. Congressional District, where most WPSU listeners live. 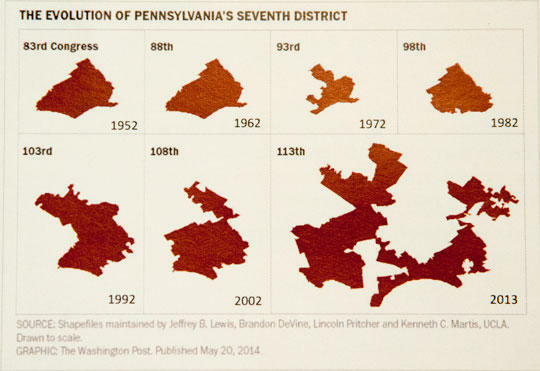 The evolution of Pennsylvania's 7th U.S. Congressional District from 1952 to present day.